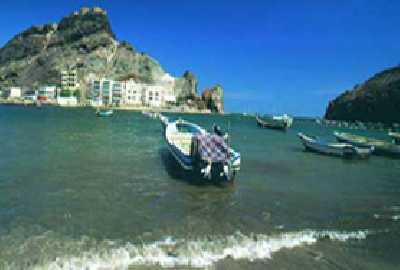 Yemen Observer - A number of historians have written of the history of Aden and the origin of its name. Among the most famous are Bamakhrama in his History of Taiz and Aden, Ibn Al-Majawir’s Al-Mustbser History, Al-Hamadani in his Al-Aklil, and Al-Jundi in his The Behavior. There are many places named Aden in Yemen, some uninhabited villages, others isolated dwellings. There is one in north Lahj, and north of Mount Radfan there are ten Adens. Each is characterized by specific features like Hummad Aden, Ahwer Aden, Ghair Aden, Arwd Aden, J’ashan Aden, Raaha Aden and so on. The name Aden would appear not to be a proper noun. Some have noticed that these Adens are located away from main roads, offering protection and security. Some of these places have expanded to include the whole mountain like Abyan Aden and Taiz Aden. Some of these Adens have disappeared like La’ah Aden in the governorate of Lahj, Manaseb Aden, and others. The impression that one gets from the names is that the name Aden referred to a settlement and settling down, well-being and felicity. Some Yemeni inscriptions interpret the same meaning for the word. The explorer Yaqoot Al-Hamawi said that the Abyssinians gave the name to where ships passed by, saying adonah, meaning, “we passed it”.